This is a double love-story set in New York City in the early 1900s. Maggie Montgomery and her fire-fighter brother Gabe sail from Ireland to America to visit their married brother and his family. 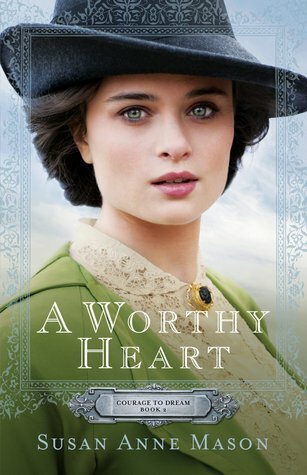 Convict, Adam O’Leary, is freshly out of prison, when he finds himself falling for Maggie–a match that is dissuaded by both families, especially since Maggie has just escaped a bad courtship in Ireland. The woman Gabe has eyes for is a likewise implausible match as she is above his station. This charming story is a quick read that held my attention all the way through. While the romance is intentionally predictable, there were several surprising twists in the end that made the story more exciting. Adam’s character was the most developed, and I enjoyed the development of his Christian faith, his struggle to find his place within his family, and his process of embracing forgiveness and new opportunities. I would not say this is a “deep” story; but it is fun to read, lighthearted, and would go well with a bubblebath. I did not read the first book in the series [Irish Meadows], and did not feel that I missed anything necessary to enjoying this story. ER nurse and crisis team volunteer, Taylor Cabot, relocates to San Diego to get away from the painful memories of her late husband’s death and to have a fresh start. She has her new life nearly in control with a tight schedule, diet, exercise plan, and new romantic interest, when she is confronted by two acquaintances from the past: a fellow nurse who used to work with her in Sacramento, and the crisis team chaplain who had comforted her after her husband’s accident. The medical emergencies the team faces parallel the characters’ own struggles as they each deal with their own crises–and as Taylor especially learns to open up her heart to pain, healing, and love. 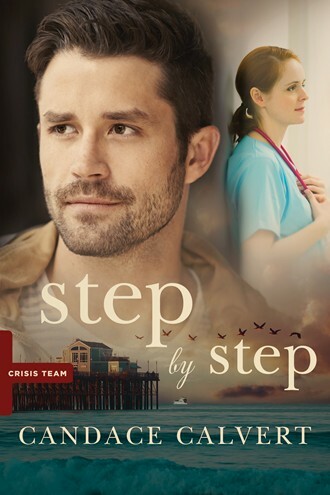 I enjoy reading lighthearted Christian fiction when I need to relax, and this one met that need, plus had a little depth with portraying the chaplain’s “ministry of presence,” and the grieving process. The characters were vibrant, the romanic tension was palpable, the numerous medical cases were interesting additions to the story, and I enjoyed that the setting happened to be within cities I am familiar with. This is a great book for those who love medical dramas, and want a Christian perspective and appropriateness. It has a great balance between light and fun, and truthful and relevant. This is the first of Candace Calvert’s books that I have read, and I would definitely read another.